HRP Motorsports - High Perfomance Snowmobile Products — Pro-File Snowmobile Runners - By Brad Hulings - HRP Motorsports Inc.
HRP Motorsports Presents Pro-File Snowmobile Carbide Runners, designed and developed by Brad Hulings. Snowmobile products like the Quad Cam Clutch, Black Ice Helix Cam and Pro-File Carbide Runners are all available at pro-file carbide runners dot com. Stud Boy, Woody’s and other snowmobile carbides do not compare. Experience the next evolution in snowmobile handling performance, Pro-File Carbide Runners. HRP Motorsports founder, Brad Hulings, develops high performance snowmobile products like: Quad Cam Snowmobile Clutch System, Black Ice Helix Cam, Pro-File Snowmobile Runners to name a few. HRP Motorsports Inc is primarily a snowmobile performance shop. HRP is the first company in snowmobiling to use "State of the Art" design and manufacturing in the early 80's. Starting with Billet Aluminum helix cams in 1984 and Billet Aluminum Snowmobile drive clutch's in 1990 to the high performance snowmobile market. Black Ice helix cams & Quad Cam clutches continue to be very well known throughout the snowmobile industry. In 2014, HRP introduced Pro-File Snowmobile Carbide Ski Runners to snowmobiling. Using 21st century design & manufacturing technology HRP brings 40 years of experience into building "State of the Art" carbide runners. Pro-File Runners are another example of HRP products that really work and will become another "First Time" product name recognized for many years by the industry and passionate snowmobilers on the trail. 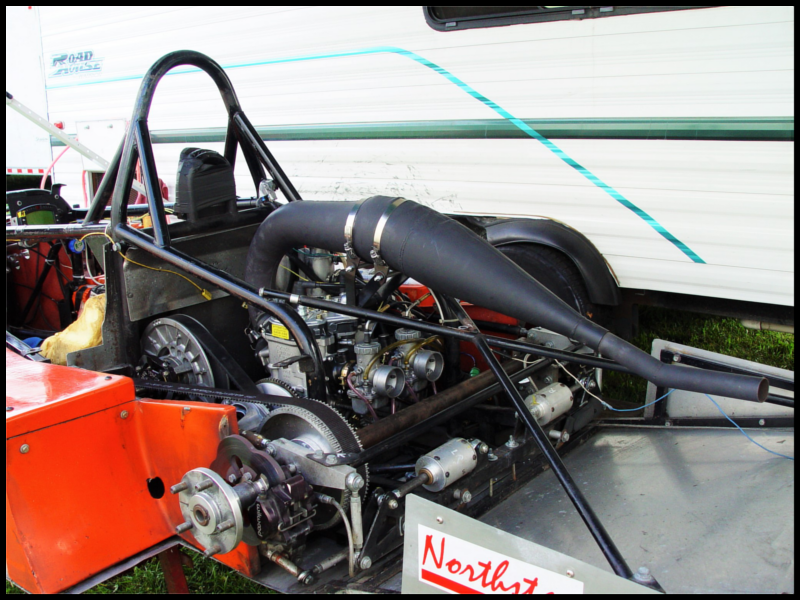 HRP Motorsports has been building engines and related parts for this SCCA F500 / F600 racing class since 1984. More than half of the runoffs victory's since the classes inception have had HRP performance products on them. HRP Motorsports is directly involved with a championship contender today. The most recent runoffs win was Novak Racing in 2014. They ran our 593 package. That makes 3 wins in the last 5 years. Due to changes in the clutch business we have decided not to build Quad Cam clutches as in stock items any longer and we are sold out. We are going to build them for prepaid orders. We need 10 customers that will prepay so we can start a build. The best time to start a build is in April or May for fall delivery. Please email or call for more details. We have rebuild parts such as bushings, rollers, and buttons and can rebuild your clutch like new if all major components are useable. We have a few major components for parts. The Long Keel runners are best suited for deeper, loose snow trail conditions as found in Michigan's Upper Peninsula. These snowmobile ski runners offer superior steering control while using less effort to drive the sled. The sled becomes much more predictable by reducing darting compared to our competitors high performance runner and/or wear bar products. We still have Polaris & Skidoo Black Ice helix cams for three button style, NON RER driven clutches. Please send an email for the brand & size you’re looking for. We do not have Ski doo 32, 36, 38, 40, 42, 44 or 46 degree left. We do have many popular Polaris sizes left. $45 ea. Close out price nonrefundable.